Chase'n Our Dreams: What'cha Been Up To? With school being out for the summer....WOOHOO! !...what have we been doing with all of our time? Well, we'll show you! I've been busy crafting of course. I've finally had the time to make some pillow case dresses that I love! I made 2 for my best friend's baby...due in October. 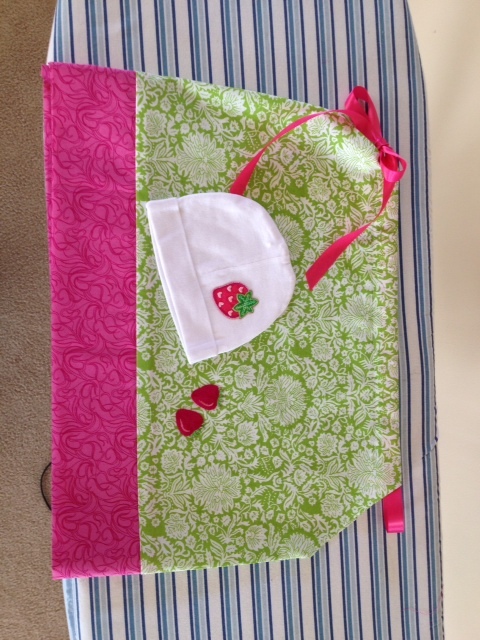 Here is a picture of one dress, with matching strawberry hat. 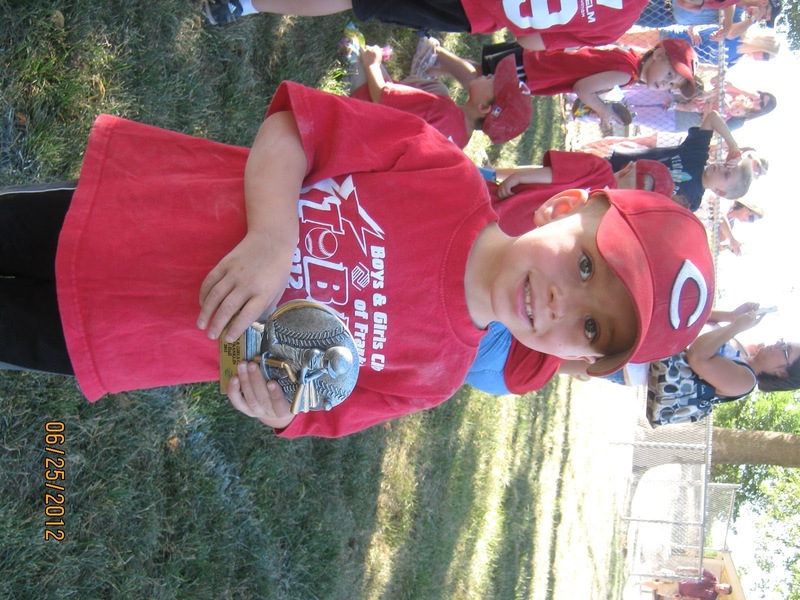 Big C finished his first season of TBall. 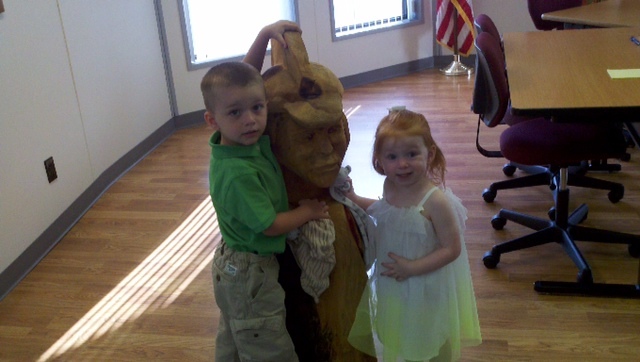 We are so proud of him! He ended the season progressing from hitting off of a T to being able to hit off of a pitcher and learned how to slide into home! Big C also earned his first ever trophy! More important than anything, Big C (#2 in the picture) learned out to be part of a team. We could have asked for a better TBall coach. His coach was so patient and wonderful with all 9 of the 4 year olds...a true saint this one! While we made news, we definitely have been making time for our old friends. 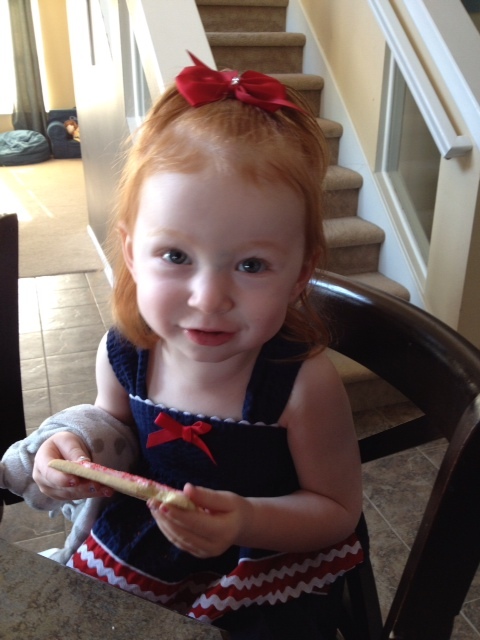 We love spending time with family and friends whenever we can. Big Girl C has been making her fair share of friends as well. She tends to like the strong, slient type. Big Girl C met her friend when we took family time at the Great American Ball Park in Cincinnati for a Reds game. 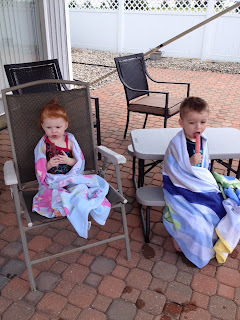 We have been spending A LOT of time in the pool at Grammy and Papa's house. Big C is so big that he can walk all over the pool and jump in all by himself! Big Girl C would prefer to be under the water at all times...gotta keep your eye on her! 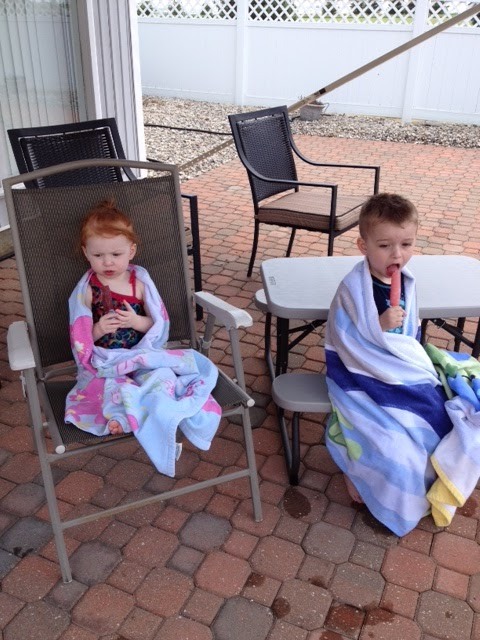 No swimming would be complete without a popsicle break! We've been celebrating Daddy's new job! Curt accepted a position as a Junior/ Senior High school Principal. We will be working and teaching in the same school corporation and couldn't be more thrilled. Our family attended the the board meeting to approve him. We couldn't be more proud of him! WE are all excited to be Spartans!!!! 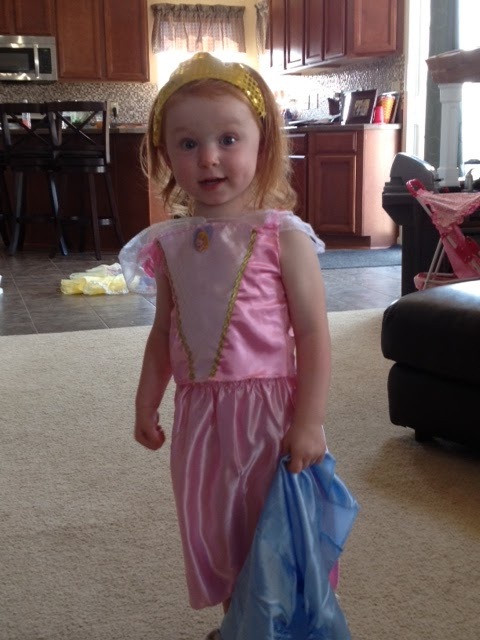 Whew....our summer is only half over....bring on more summer fun! !